A classic Thanksgiving turkey tastes amazing, so why not bring a version of that meal to your friends and family more than once a year! 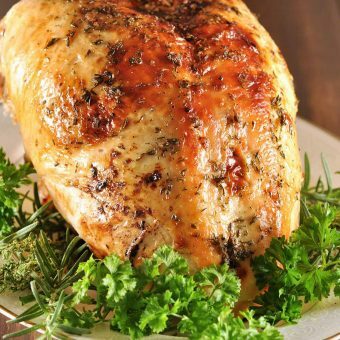 Our brined turkey and turkey breast recipes offer great ideas for weekday meals and special occasions! 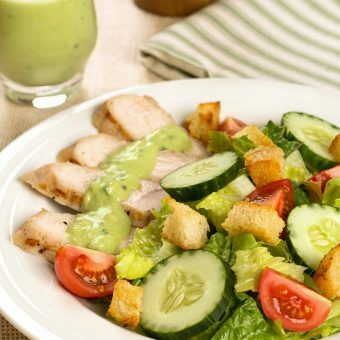 This healthy main dish salad recipe features tender, juicy slices of grilled turkey, toasted garlic croutons and a creamy, low-fat avocado dressing. 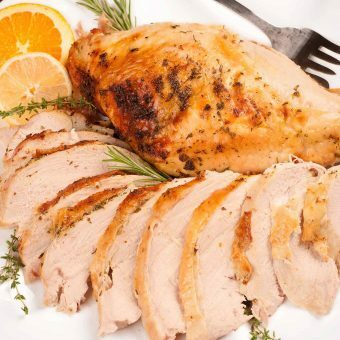 This roast turkey breast recipe uses a blend of butter, fresh citrus zest and herbs to infuse the meat with flavor and keep it tender, moist and juicy. 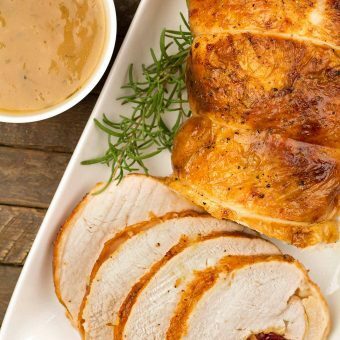 Rolled and stuffed with an apple-cranberry stuffing and drizzled with a cider-sage sauce, this boneless turkey breast recipe is a terrific alternative to a whole roast turkey. 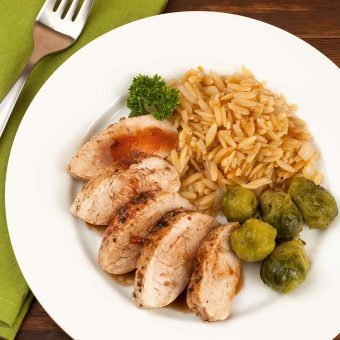 This recipe for turkey tenderloins uses an easy pan sauce made with orange marmalade, orange juice and balsamic vinegar to add flavor and keep this lean cut of turkey moist and tender. 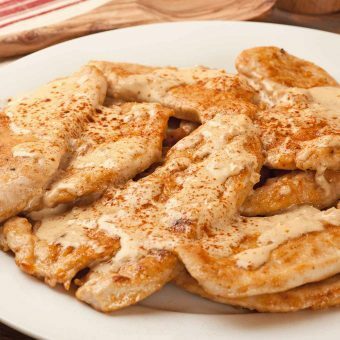 This recipe for fast-cooking turkey cutlets bathed in a flavorful pan sauce made with sherry, shallots and cream is a mouthwatering main dish that goes from kitchen to table in no time. 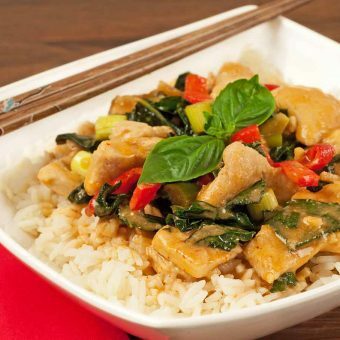 An easy, Thai-style curry made with tender, bite-sized pieces of turkey cutlet, fresh kale, red bell pepper, basil, scallions, coconut milk and Thai red curry paste. 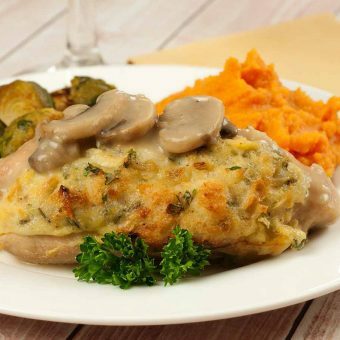 Turkey tenderloins stuffed with a classic, homemade bread stuffing and topped with a delicious mushroom pan gravy. Brining a turkey breast only takes about 5 hours and the moist, flavorful results are well worth the effort. This brine uses apple cider to add a subtle sweetness to the turkey.